What shall we call that bike colour? Silver sage? While I’m not, for a minute, going to think that I can get away with complaining about riding secret new bikes on wonderful trails with great people… it is always hard to come up with a ‘Well, how did that bike ride?’ impression when you get a single day of riding something, on unfamiliar trails. However, this time, I really had nothing to complain about. 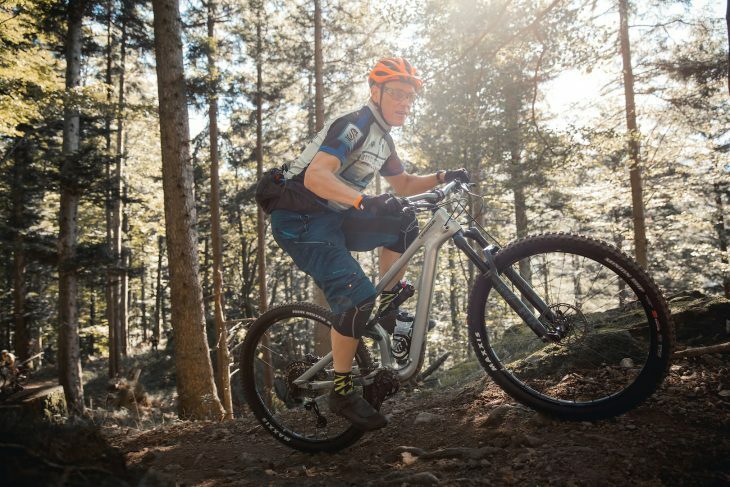 For a start, the new Cannondale Habit is a 130mm 29er trail bike – a bike not a million miles away in attitude and purpose to bikes like the Orange Stage 5 (and even the Stage 4), or the exotic Robot R130, the new Yeti SB130, or even the GT Sensor, which comes from the same stable as Cannondale. It’s certainly a crowded market, but that’s exactly why Cannondale wants to build a bike that thrives in it. 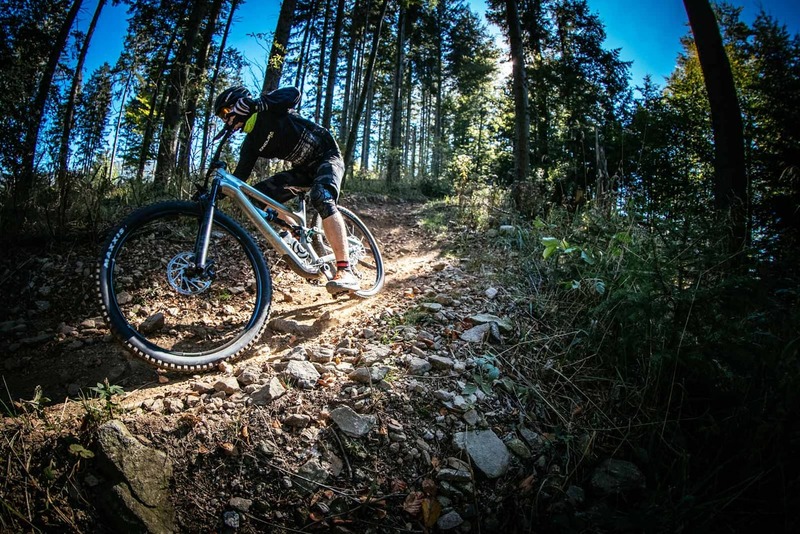 The 130mm 29er market is arguably similar to the 150mm 27.5in bike world. I’ve always reckoned that 29in wheels add 20mm of performance to the travel, so I would equate a 150mm/6in trail bike with a 130mm 29er. 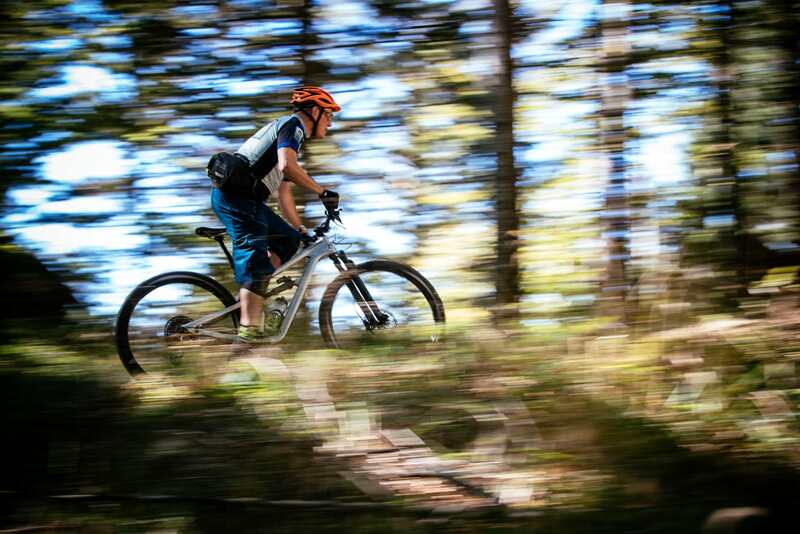 Both bikes are big enough to handle the rough and tumble of trails anywhere without being lumbered with too much, well, lumber on the climbs, or by being too weirdly geometried to work as a day to day trail bike. 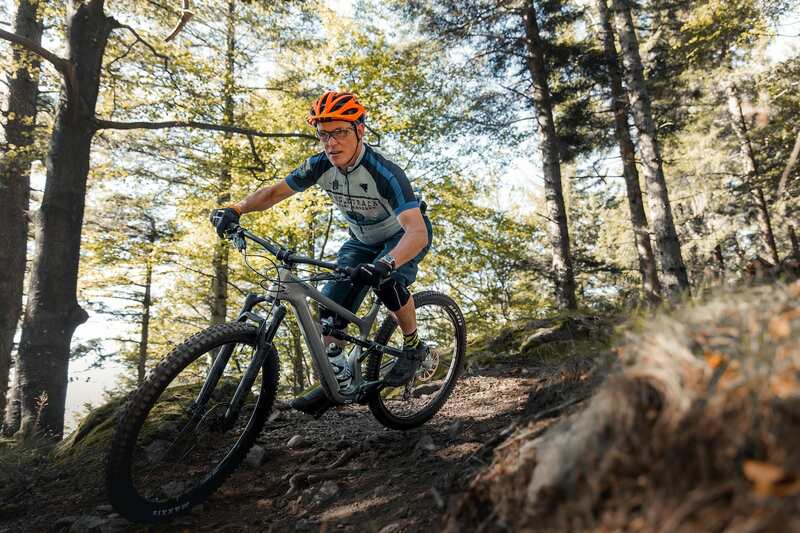 The previous Habit inhabited a grey world of ‘a little big and heavy to be a race bike, a little light and shorter travel to be a trail bike’ but this time around, Cannondale started from the bottom to create an all-round, everyday, every trail, trail bike. 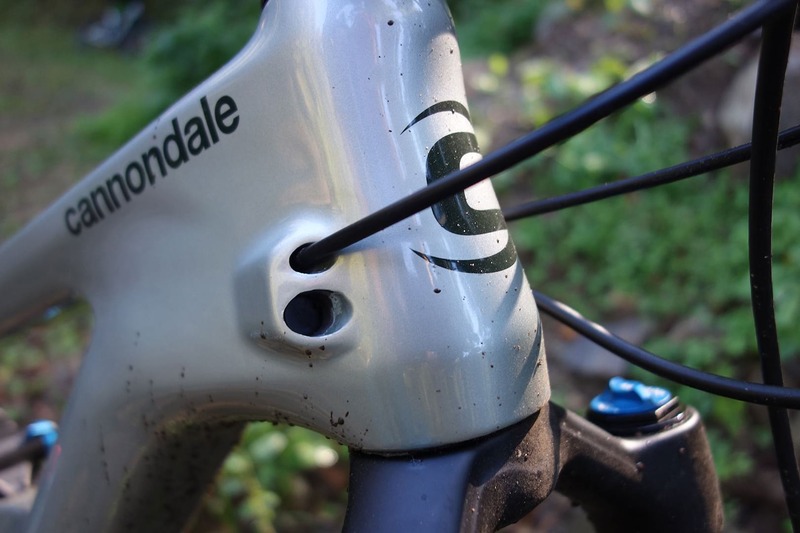 There are many clever bits to the frame of the bike and build, but one of the key things is all-but-impossible to review and that’s Cannondale’s “Proportional Response” which changes the suspension linkage component design for each frame size. Short of access to a shrinking-machine, I can’t comment on how the small size rides the same as the XL for the size of rider intended, but it’s certainly something that I’ve not seen before, where every suspension component (apart from the shock itself) changes for each frame size. Too often you’ll see a company come up with a great performing suspension design that works great on their medium-size test frame. 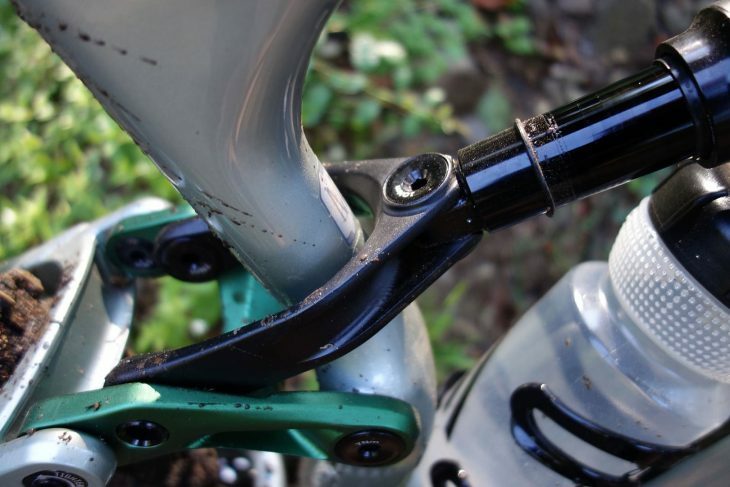 Then, as the frame sizes go up or down, the suspension pivots and hardware stay put, while the frames shrink or grow around those fixed points, adding taller and taller seat masts, or burying the pivots among the smaller frame tubes. Here, the XL frame looks well proportioned next to a medium. And that, apparently, is how you do it. Suspension designer, Luis Arraiz, was on hand to answer our questions on set up and suspension action. And, while I tend to glaze over after the fourth mention of ‘anti-squat’ or ‘suspension kinematics’, Luis gave solid answers to all of my questions, however dumb. And, crucially, he’s spent a fair amount of time in the UK (in Oxford of all places!) 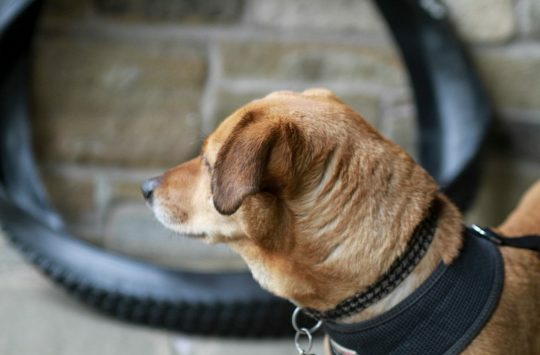 and he intimately knows both UK riding terrain and the weather. I don’t anticipate any weather or mud-related issues here. One problem I found on the GT Sensor launch was that I found the frame far too tall for the reach, so sizing up to a large, to get a roomier cockpit meant that I had to sacrifice dropper post travel to a 125mm. There was no such issue on the Habit and the medium size bike felt right for my 175cm/5ft9in stature. Taller testers had some saddle fore-afting to do to get the bike to fit their riding style, but no one seemed particularly uncomfortable. The bike we were riding was the not-quite-top-spec Habit 2 with a full carbon frame and swingarm and some quality components. 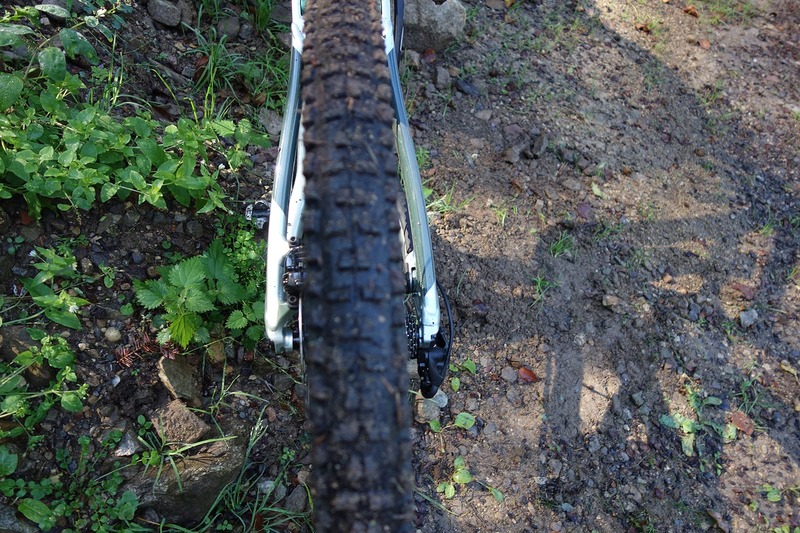 The Maxxis Minion DHF tyres front and rear further added to the bike’s trail intentions. If you can’t schralp the gnar on this bike, then you might as well give up schralping, eh? Our launch was at Cannondale’s European R&D centre in Freiburg, in Germany near the Swiss and the French borders. 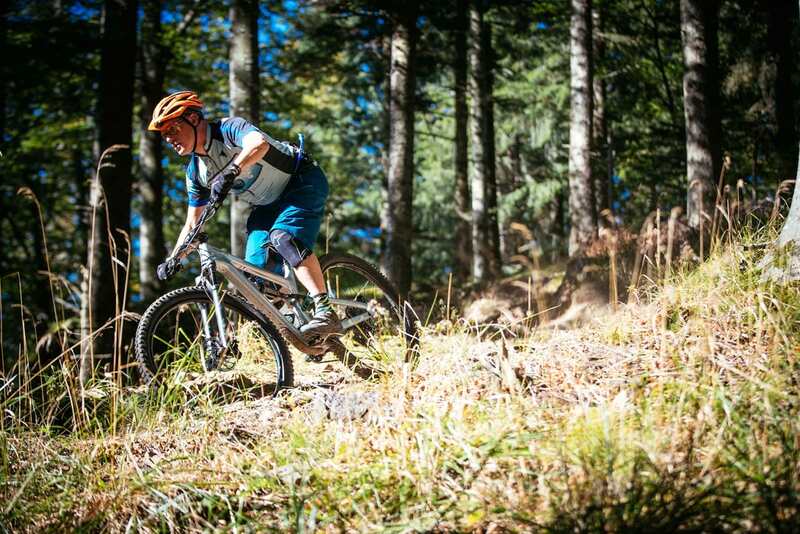 It’s the south western corner of the Black Forest and well served with endless wooded hills to ride. One reason the UCI World Championships took place in nearby Kirtzcharten in 1995. I’d not been back to the area since then, so it was great to be greeted with dry weather and cool, clear skies. Oh, and it didn’t hurt that the office is actually in the grounds (and buildings) of a brewery. We still managed to finish all the beer though. But it would be rude of me to suggest that Cannondale couldn’t organise a British bike journo visit to a brewery, wouldn’t it? Clive Gosling from CSG’s claim to fame is that he sold Chipps his first ever mountain bike in the late 80s. The riding in Freiburg starts almost out of the door, something the R&D office staff make the most of and we were treated to a five minute hop across town on bike lanes before being treated to a long and steady switchback climb that gained 400m in 5km. During the climb, the Habit was great. No sense of bobbing or kickback, just a smooth power delivery in any gear. Even slow speed ‘Oh, we’re going up there?’ moves felt well balanced and yes, smooth. While there was a touch of front wheel wag thanks to the relatively slack head angle, it was perfectly manageable. The geometry that would have been super radical just a few years ago for a 29er – a 66° head angle and 74.5° seat angle feels almost old school to the company of ‘I get to ride new bikes all the time’ journalists, but it works well and I reckon it’ll feel pretty welcoming to anyone coming off a bike from more than a couple of years ago. How do you like the splash of colour from the secondary link? On rolling trails, the bike felt fun and very capable. The spec of the bike I was riding was great, with SRAM’s reliable Guide brakes and those grippy Minion tyres. 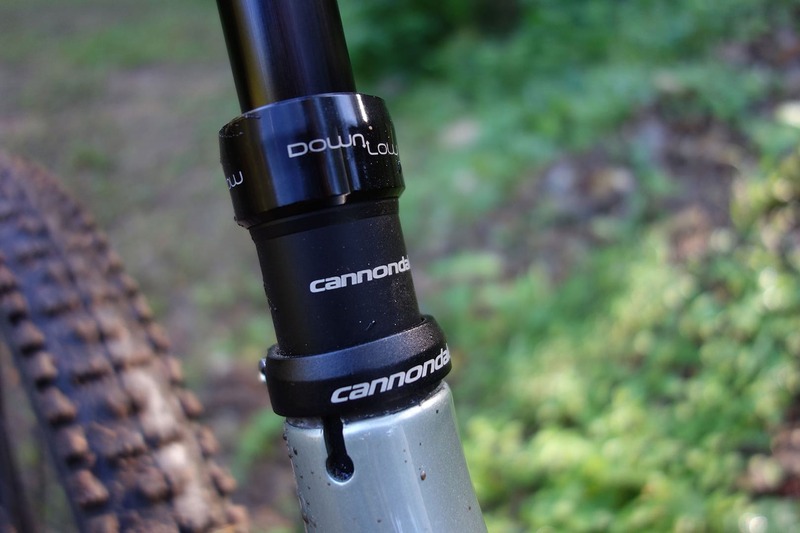 The surprise for me was Cannondale’s own-brand dropper post that had a great action and a lovely lever feel. 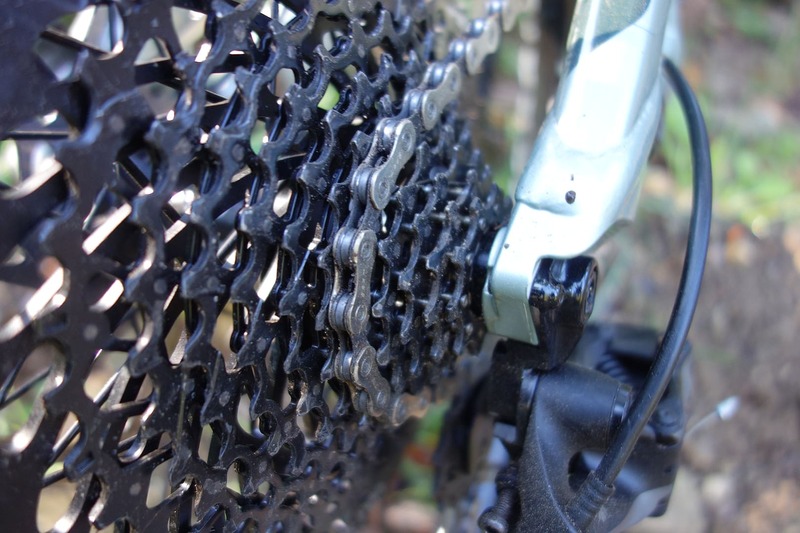 10T-50T – THANKS SRAM! That is all. On chunkier, faster trails, the bike felt very balanced and almost ‘quiet’. It felt hard to unsettle and that brought a lot of confidence into the proceedings. Despite setting the bike up with optimal sag at Cannondale HQ, I found the last few millimetres of travel elusive, even after letting 10psi out of the shock and dialling off most of the rebound. 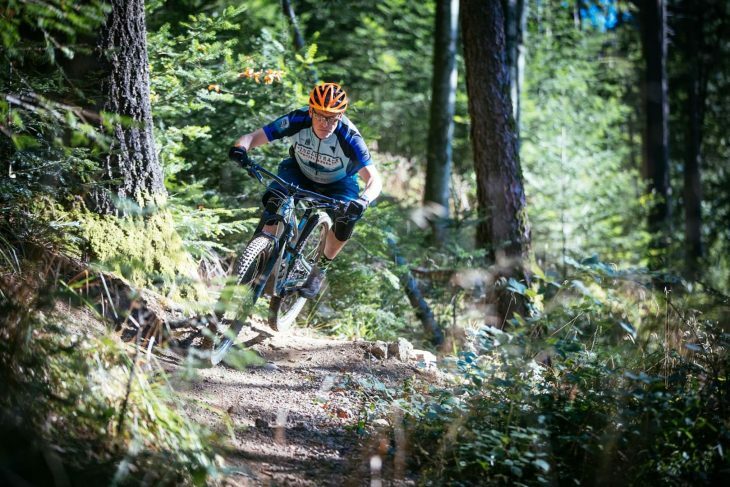 I’m happy to put that down to not going big enough or fast enough – and I’d expect that to be something that I could do something about on more familiar trails. 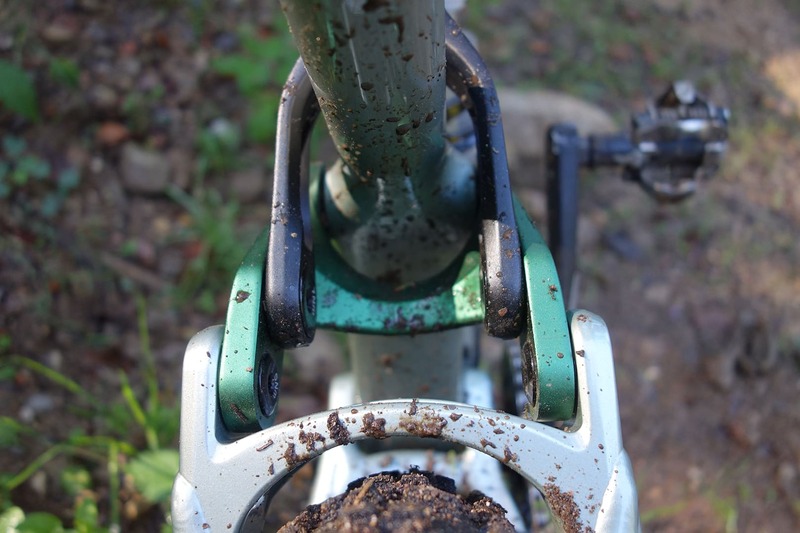 It bodes well for the bike’s ‘bottomless feel’ though if I couldn’t quite get the o-ring to the end, despite the frame feeling supple on the smaller stuff and the shock working like a telegraphist’s hand on the semaphore key on stutter bumps and trail chunder. 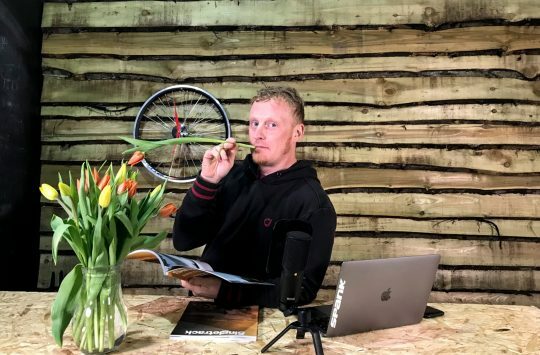 Having Jerome Clementz along for the ride can be an intimidating affair until you realise that he’s one of the most cheerful, impish characters on a bike anywhere. He happily rode and wheelied and dropped and jumped section after section for the cameras, while showing what the Habit is capable of in the right hands. 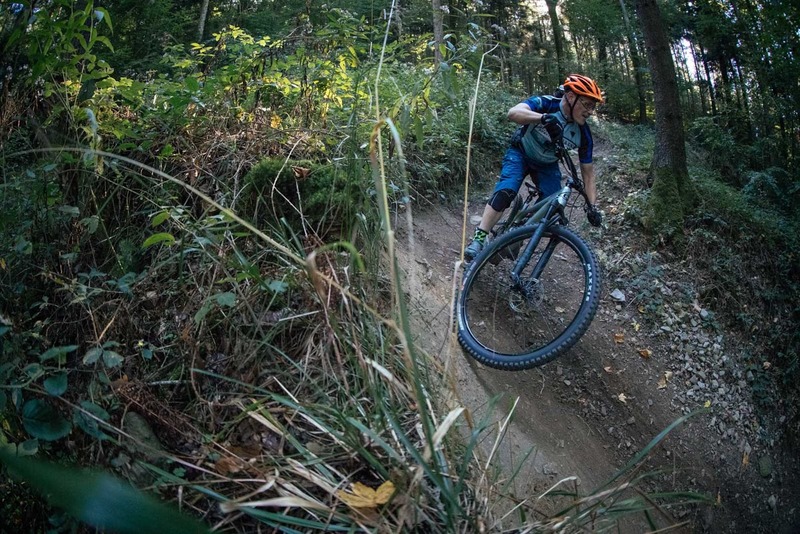 Importantly for those of us who aren’t EWS professionals, though, the Habit also felt great riding at moderate speeds on fast, flowy, sometimes rocky trails. 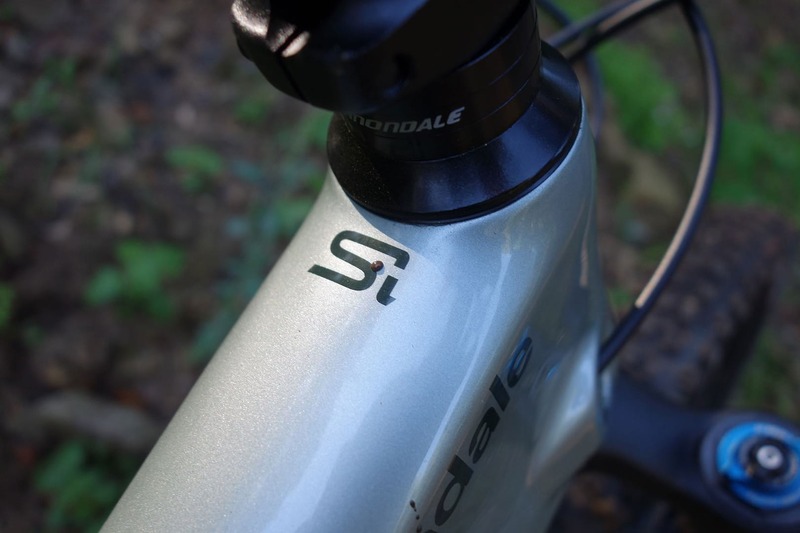 If Cannondale is trying to make a bike that you want to take to Llandegla or to take up the to the top of the hills out the back for a few hours, then my initial impression is very good. If you squint, you can see the back end of the frame structure hangs to the right by 6mm. Was it perfect? 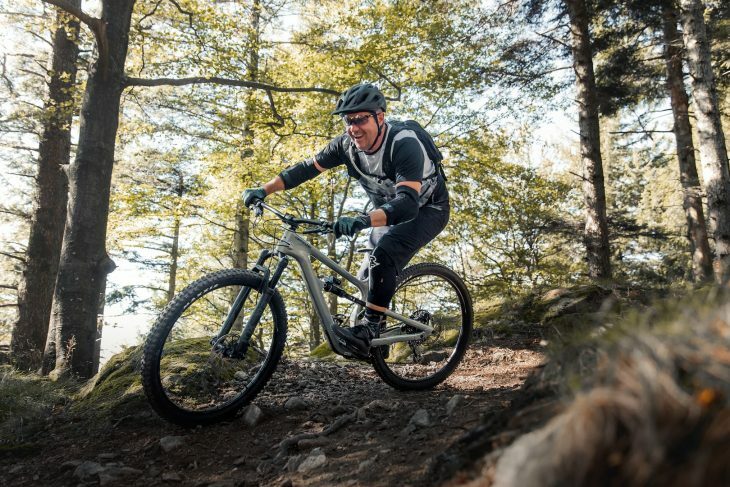 In our limited day ride, which included chunky walking trails and some more groomed ‘Canadian style’ trails (built by real Canadians apparently…) the Habit handled everything that was thrown at it and I have few grumbles at all. Yes, it could probably be a couple of pounds lighter and, from my point of view, the more expensive the bikes get, the duller the paint jobs. Surely if you’ve got the top-end model you want a flashy colour and not black? 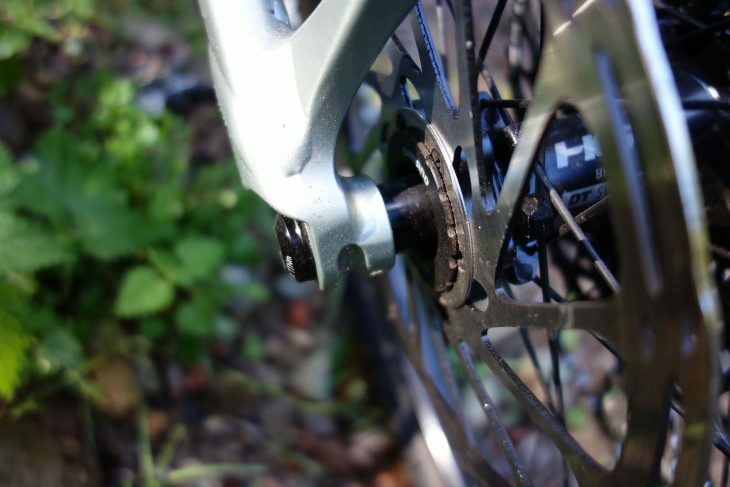 From a British point of view, the internal cable ports are made for US-style brake routing, so when running a UK-style rear brake on the left, there’s an inelegantly tight curve for the rear brake cable to go into the left-hand side of the head tube port. 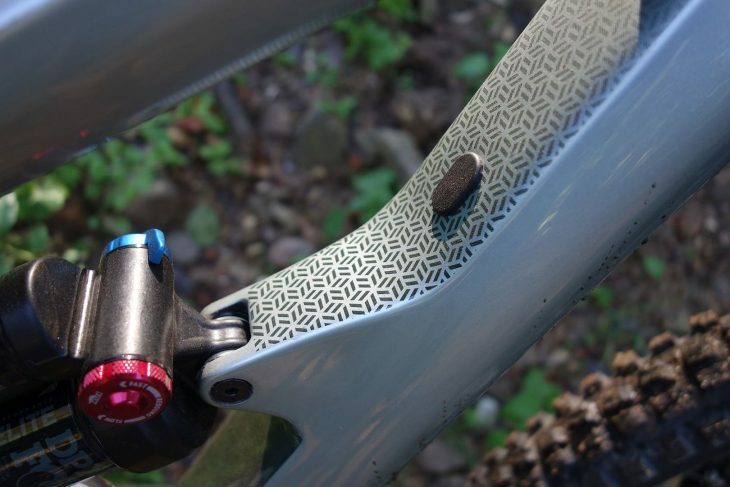 The rear end uses the same AI offset feature as the FSI hardtail. Cannondale says they’ve done this to allow greater tyre clearance with shorter chainstays without having to introduce an even wider, Super Boost, hub as Pivot has. The tweak also means the Habit is happy to run 27.5in plus wheels as well as the stock 29er set. OK, apart from those… there aren’t too many quirks that I could find to grumble about. Room for a decent size bottle on this Medium frame. 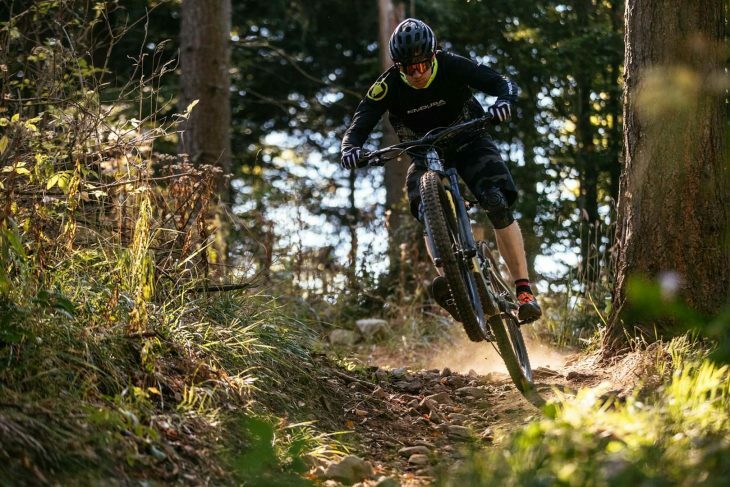 With the Habit, Cannondale has made a great performing 29er that should stand up well in a crowded market, but gone are the quirks and peculiarities of the bikes that attracted many fans to the brand (and, to be fair, put many off too). The silhouette of the Habit shows a linkage actuated shock on a four bar suspension frame with a Horst link on the chainstays, a regular rear shock and a nice sloping top tube heading down to a normal looking back end. Whether this is enough to attract former Cannondale naysayers to the brand, while still keeping hold of the Cannondale tifosi, I’m not sure. The Habit is certainly a bike worth checking out, but it’s up to you if it’s enough to keep you from glancing at the other 130mm (or even the 150mm) 29ers in a similar style in a similar price bracket. Guess which rear suspension patent ran out recently? I’m definitely looking forward to getting to try one on home soil on familiar trails. But in the meantime, I’ll just have to keep staring at the dusty, sun mottled photos and reminding myself what a fun day of riding it was. That blank port? Apparently is for a cable-operated rear shock lockout option. Ze crazy Germans, eh? Lockout cable would come out here. Nope, doesn’t need it. 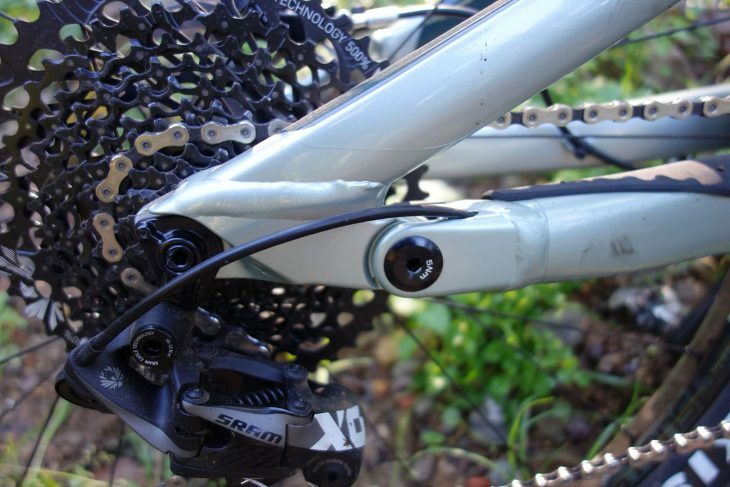 Different frame sizes get different length shock yokes. Nice looking bike. Is it ‘Cannondale’ enough for you though? Cannondale's New Habit 29er. The Trail Bike For You? That looks great. No more Bad Habit, as I see you can go 27.5+ with the same frame. Cool. Very subtle livery for a ‘Dale! 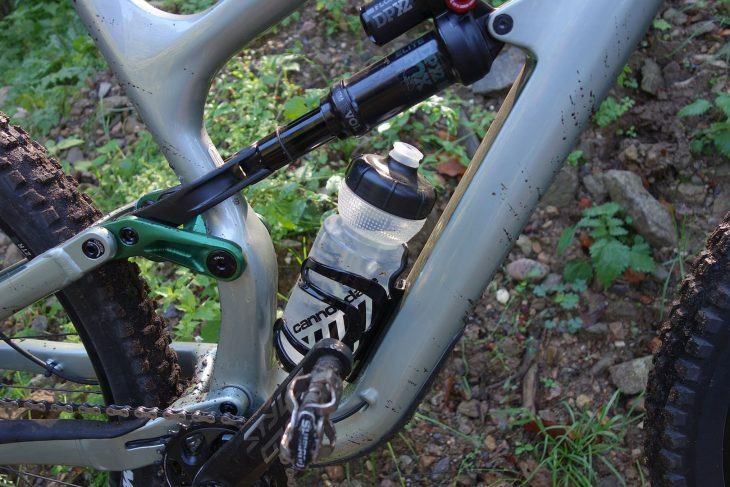 Looking at the Cannondale website, all sizes of the new Habit aluminium builds are specced with a 125mm dropper. I’m not sure that’s a good sign for changing out for a longer drop if you’re not very long-legged. Maybe the Alu versions have a longer seat tube? Why is it a very important bike and what’s the point in saying the PF BB didn’t creak on the day? Bit like saying the brakes were responsive for the whole ride. Real world reviews required I think! I like the look of that and think it’s a good looking bike. I really like the very subtle decals too. 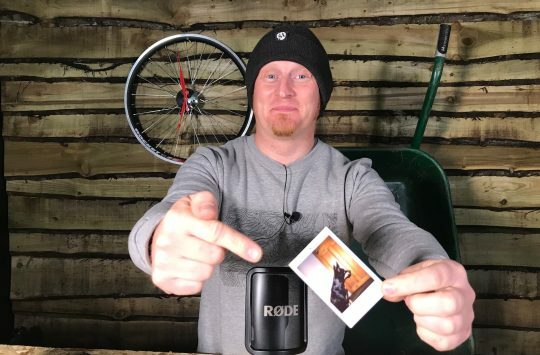 same thoughts as Trailrider Jim – why is this an important bike? I wouldn’t say it’s important to the industry or consumer – it’s hardly ground breaking is it really? Is it important to Cannondale then? 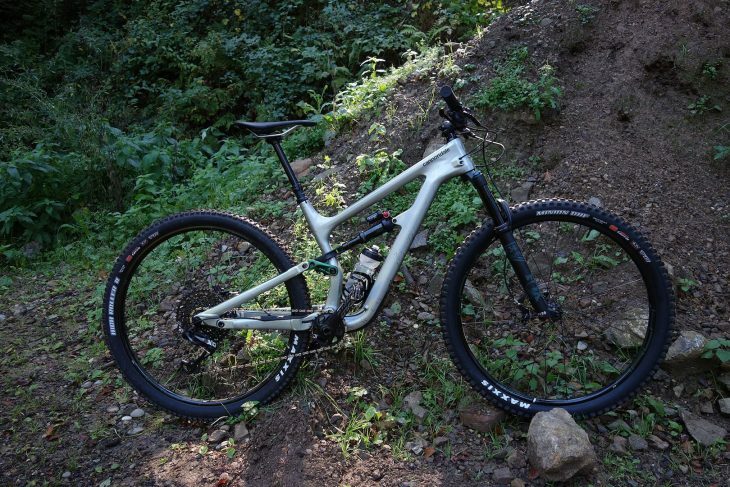 They now have a competitive trail bike I guess, and one that isn’t supremely ugly like most of their recent bikes….. I really like Cannondale bikes, and currently have a CAADX and a Trail2 hardtail. Recently, however, I have seen a lot of myriding buddies having problems with frames cracking. This goes for fullys and hardtails alike. I would be very wary of buying another Cannondale, even if they have a good warranty programme… Shame, as the new Habit looks just like the kind of bike I would really get along with! Looks nice. Always had a soft spot for Cannondales, but agree that recently their mountain bikes have been somewhat marmite. Could it be a VIB because of the attention to detail around the suspension componentry sizing? I’m no expert (never stopped me) but I can see how the suspension might behave differently with different frame sizes changing the angle of attack. Same thing with chainstays really, never understood how an XL and an XS with the same chainstays would be expected to behave in the same way given the proportional differences in rear end to the overall wheelbase..
Chainging the chainstay length totally makes sense for different size frames/riders. Shame Cannondale forgot to do that here. They haven’t presented the numbers to anyone, as far as I know, to convince that their direction RE different shock yoke size, etc, does infact do what they claim – and without that all I can see is that they alter the leverage rate on the shock, per size, which could be dealt with by shock set up in any case…. just not convinced on this, and I think they only went halfway by missing out on the chainstay length. Love that they’ve gone back to the original logotype and subtle decals, shame they’ve ditched the lefty completely. Seems the market has spoken.